Please click here to watch Ritu’s acceptance speech. 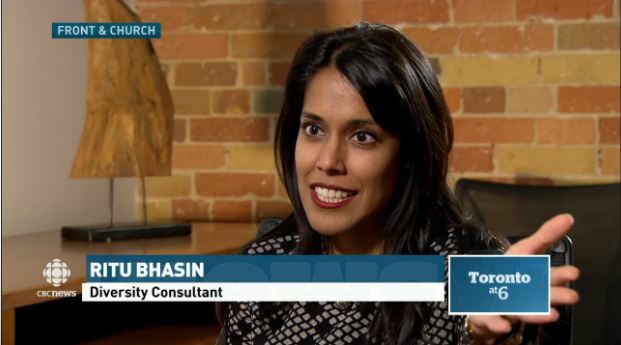 Ritu discusses unconscious bias, privilege, and unearned disadvantages with CBC News Toronto’s Nil Köksal. Click here to watch (runtime 2:29). Ritu spoke to CBC’s Matt Galloway about winning the 2014 William P. Hubbard Award for Race Relations from the City of Toronto, and her continuing work in the area of unconscious bias. Click here to listen (runtime 4:58). Toronto, Ontario – Ritu Bhasin, LL.B. MBA is the recipient of the City of Toronto’s 2014 William P. Hubbard Award for Race Relations, for her continuing efforts to improve race relations in the city of Toronto. 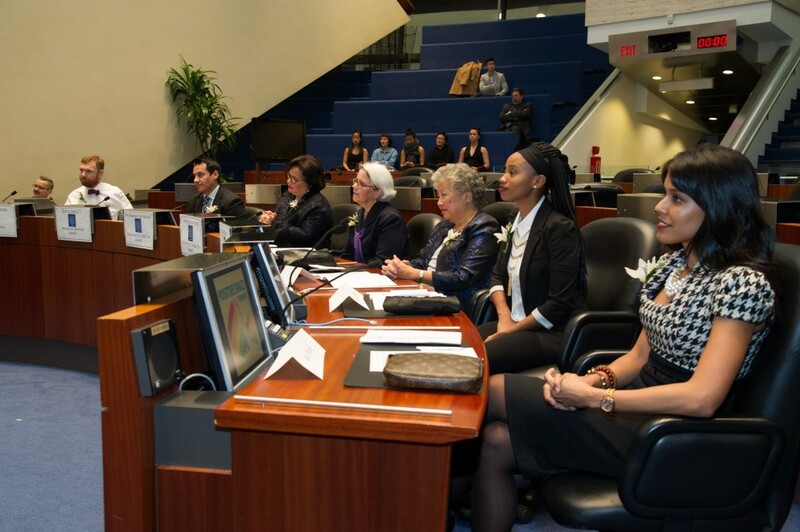 The City of Toronto will present the 2014 Access, Equity and Human Rights Awards in recognition of Human Rights Day on Wednesday, November 26th, 2014. These awards will be presented to seven recipients who have made a significant impact on the lives of Torontonians through their work to eliminate barriers to equality and discrimination. The William P. Hubbard Award for Race Relations was established in 1989 and is named in honour of one of Toronto’s first African-Canadian Councillors, William P. Hubbard, who was first elected in 1894. The City gives this Award to a person whose outstanding achievement and commitment has fostered a positive race relations environment in Toronto and has encouraged others to become actively involved in the elimination of racism and prejudice. All recipients must be residents of the city of Toronto. 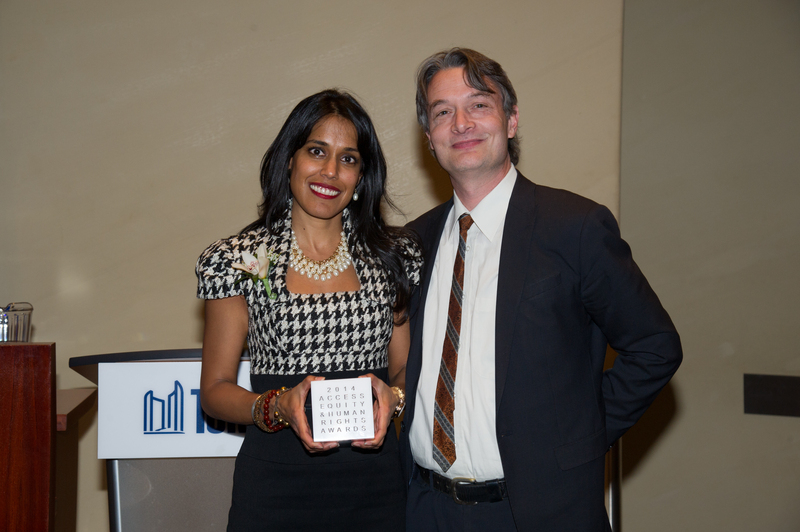 Ritu thanks the City of Toronto for their continued support of her work. For more information, contact Sarah Israel, Client Relations Coordinator at 416.821.3554 or sarah@bhasinconsulting.com. ​To view as a PDF, please click here. Ritu will be speaking at the Diversity & Flexibility Allliance’s 2014 Flex Success Institute in October 2014! The Diversity & Flexibility Allliance’s 2014 Flex Success Institute will take place on October 23-24, 2014, in Washington D.C. We invite you to join Ritu for an interactive workshop that will include tools to broaden your personal leadership style, business acumen, and communication proficiency while connecting with other aspiring leaders in the legal profession. Click here to register now! Earlier today, Ritu was part of an NPR Forum segment titled “How Do You Say That? The Trouble With Pronouncing Names.” Click here to listen to the segment on KQED online. Introducing bci’s newest team member, Joanna Kirke! We are thrilled to announce the newest addition to our team: Joanna Kirke! Joanna brings years of experience to our team, in the areas of leadership, cultural competence, diversity, and the advancement of women. Please click here to learn more about Joanna! 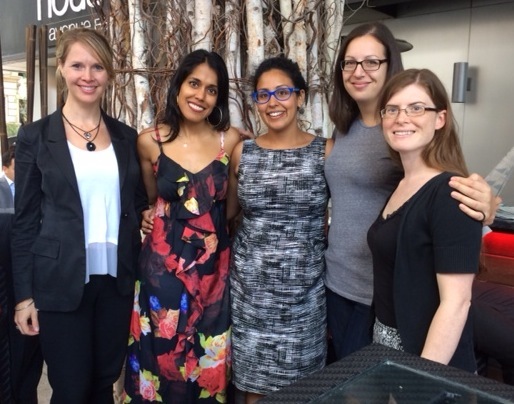 Ritu recently delivered a session titled “Make an Impact – How to Capture, Communicate and Build Your Professional Brand” at the Advocates’ Society Commercial Women’s Breakfast in March 2014. Lindsay Scott of Paliare Roland LLP wrote a thoughtful review of the session for Canadian Lawyer Magazine. Please click here to read the full article.